Attendees: Maggie, Alan, Claire, Sue, Joanne, Steve, Mark, Keyna, Ade, Andreea, Marion and welcome to new member Judith. 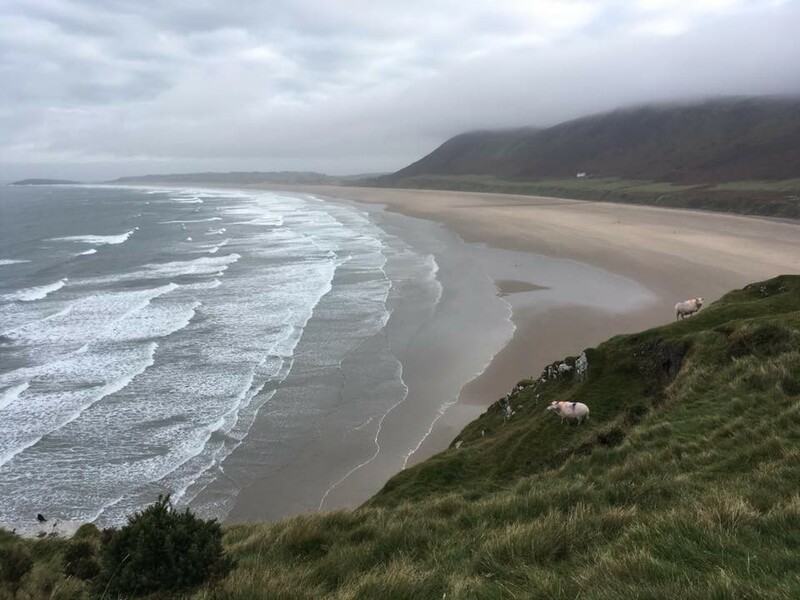 This year’s coastal trip was at Rhossili on the Gower. The village hall at Rhossili has a practical, comfortable bunkhouse where we stayed. 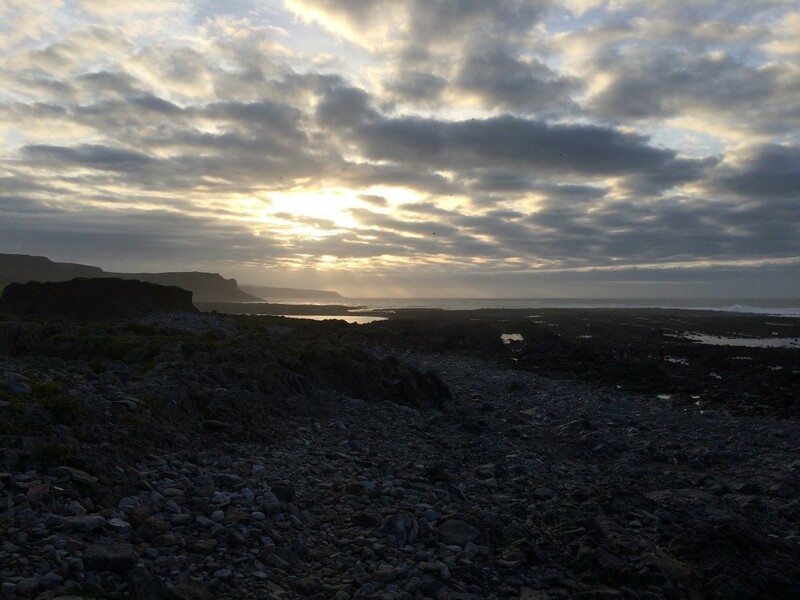 We had looked at the tides to walk to Worms head which can only be accessed in a window two hours either side of Low tide. 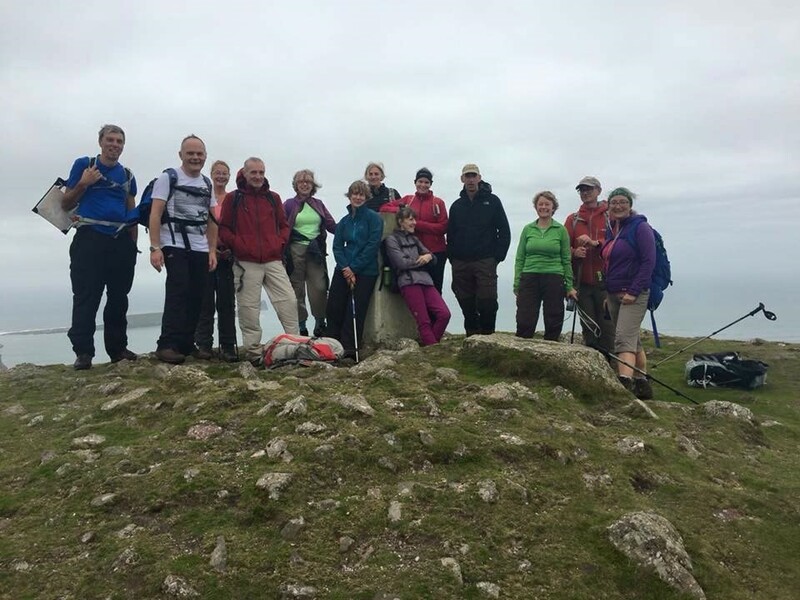 So Saturday most of us were up and out walking at 7.30am. We were rewarded with a lovely sunrise. 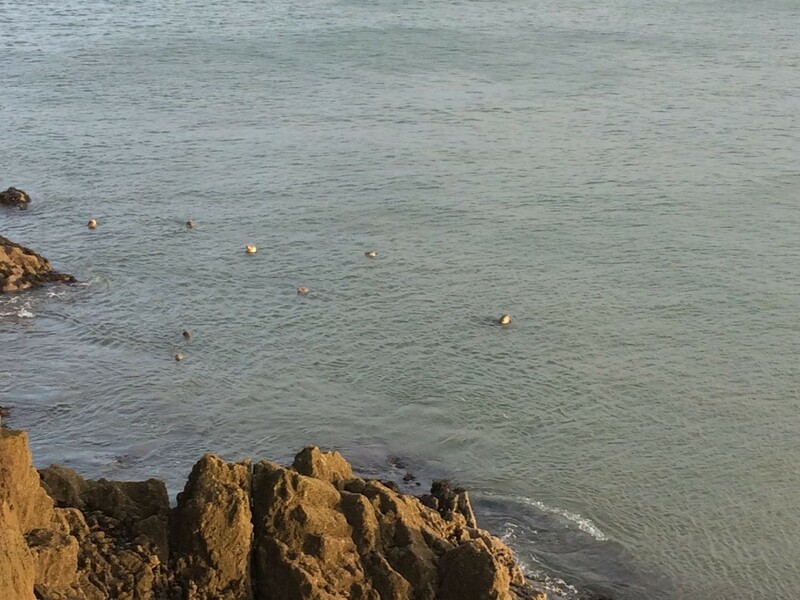 The walk involved a few scrambles across the rocks, some great views and seals in the sea. 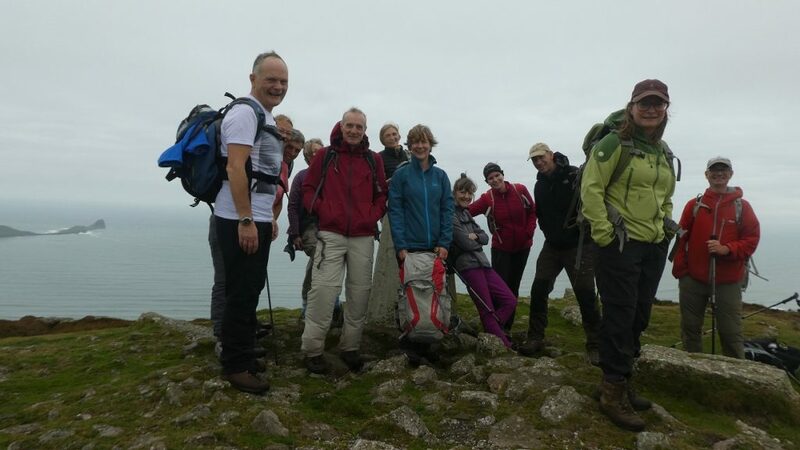 Later we met up with the rest of the group and we continued on our walk on the ridge above Rhossili beach reaching the heady heights of 185m at the trig point! We managed to find a beer festival at Llangennith where we restricted our intake to a swift half. 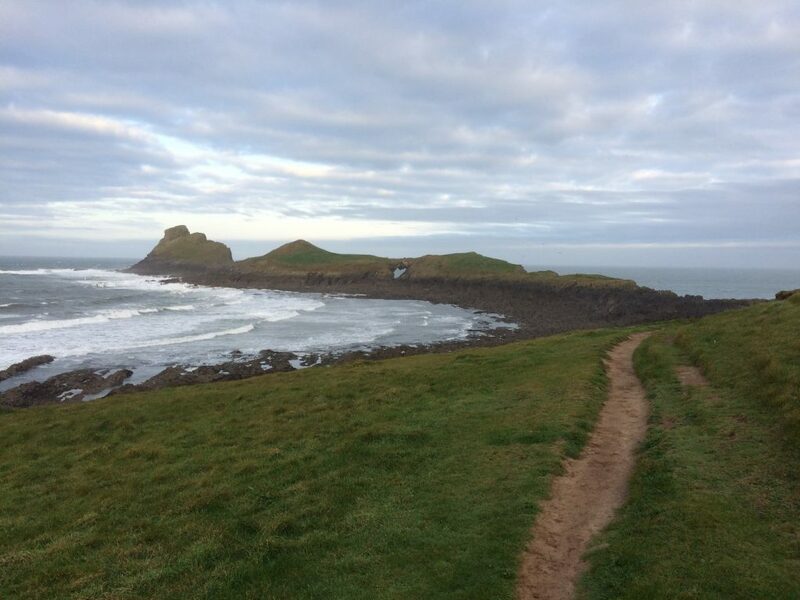 Broughton bay was our next destination and then the lovely long walk along Rhossili beach. 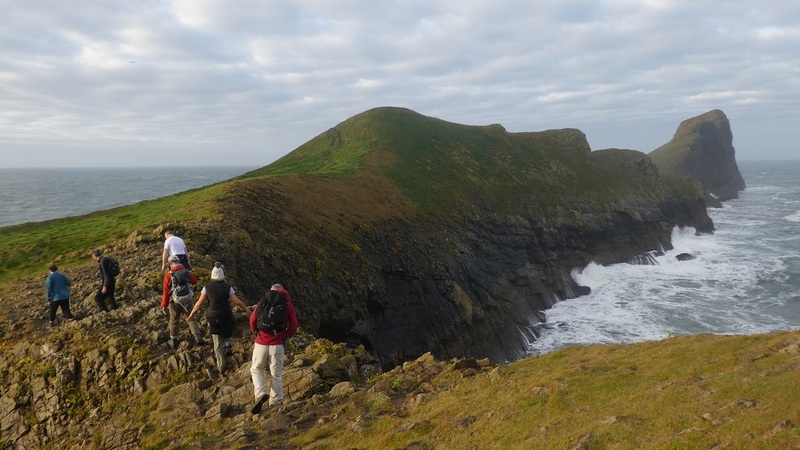 A great day walking with some lovely views. The pleasant evening back at the bunkhouse with a home cooked evening, plenty of laughs and a quiz. 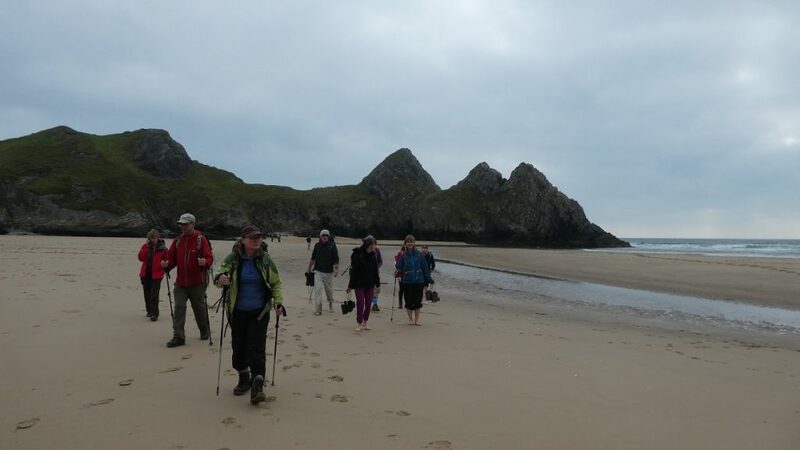 Sunday, none of us were in a rush home and we had a fabulous walk further east along the coast from Oxwich to Three Cliffs bay and back. 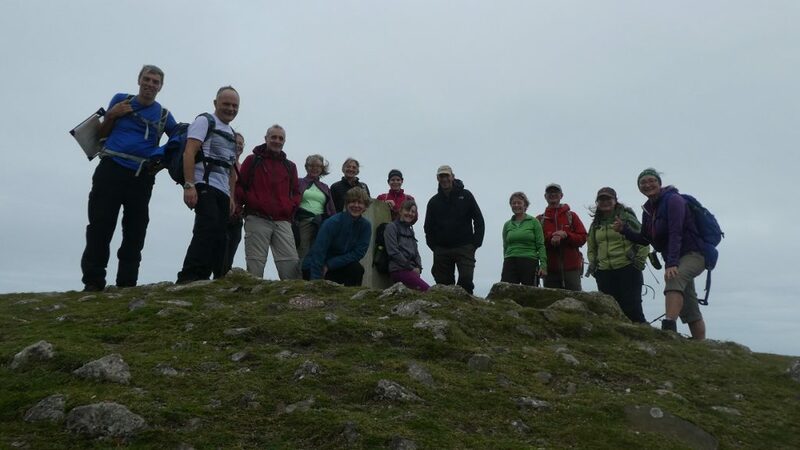 Another great sociable fun weekend with Newbury Mountain club.